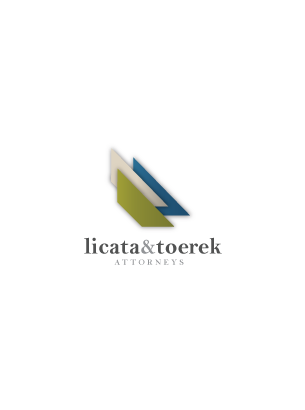 Licata & Toerek - Go Media™ · Creativity at work! Sharon L. Toerek focuses her legal practice at Licata & Toerek on intellectual property law, advising clients across the United States on trademark, copyright, trade secret, non competition, and other intellectual property and business law issues. Toerek has a particular concentration of clients in the advertising, marketing and creative services industries, and she provides legal counsel on legal issues faced by those industries including copyright and content protection, licensing of creative content, trademark and brand protection matters, social media law, agency-client and agency-freelance contracts, advertising compliance, and direct marketing regulations. Toerek is the publisher of Legal + Creative, an intellectual property law, advertising law and marketing law blog for creative people, which contains timely content and articles about legal matters of interest to creative professionals. Toerek is the immediate Past President of the American Advertising Federation (AAF) Cleveland (2011-2012), and is an approved member of the national legal consultants panel for the American Association of Advertising Agencies (4A’s). In her community, Toerek is Chairman of the Board of Directors of the Council of Small Enterprises (COSE), and serves on the Board of Directors and Executive Committee of the Greater Cleveland Partnership (GCP). Nationally, Toerek serves as an Associate Director of the Board of the National Small Business Association (NSBA). Toerek resides in Cleveland, Ohio with her husband, Ed Toerek.